Hello Crafters! 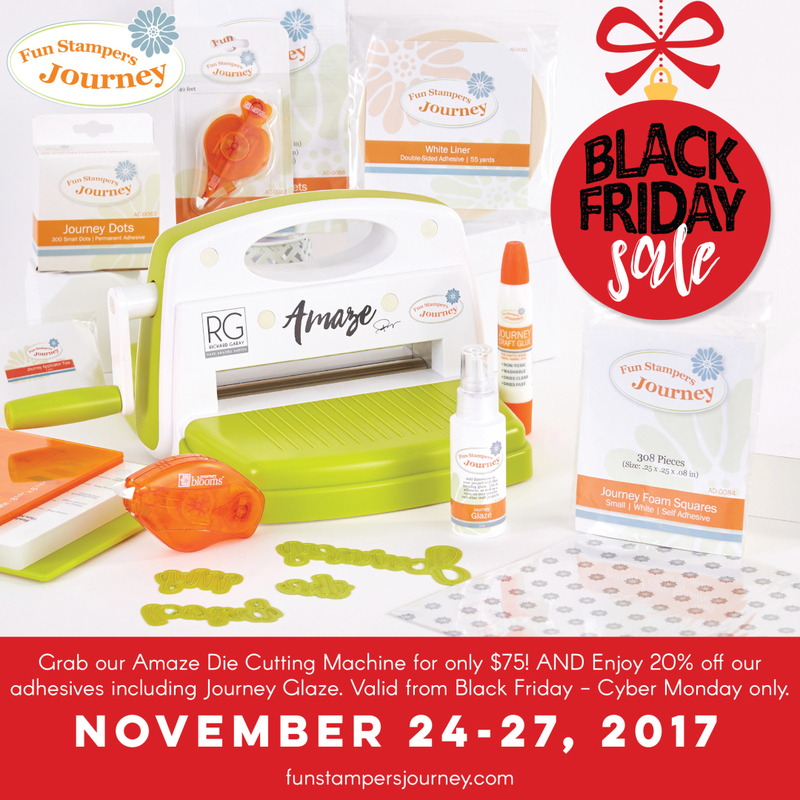 Fun Stampers Journey is offering their FIRST Ever Black Friday Sale! It's pretty Amazing, you will NOT want to miss out on these deals! Grab our Amaze Die Cutting Machine for only $75! PLUS Enjoy 20% off our adhesives including Journey Glaze! Valid from Black Friday - Cyber Monday only. Don't forget the remaining AMAZING Offers valid until November 30th, posted below! 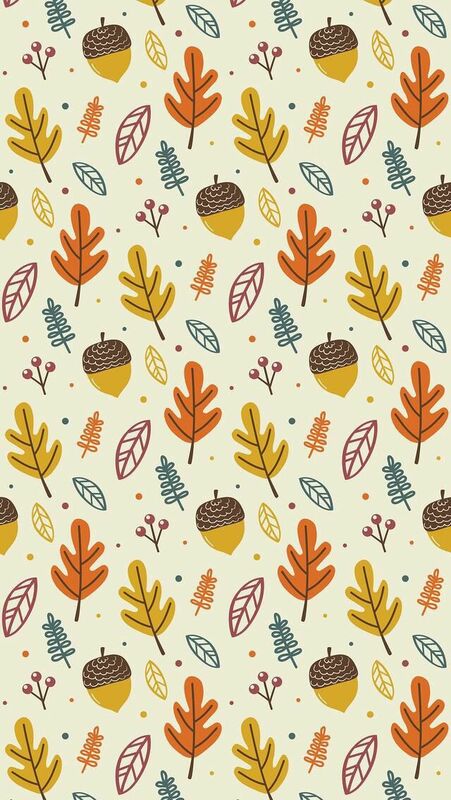 November is definitely a month to "Fall" into savings! 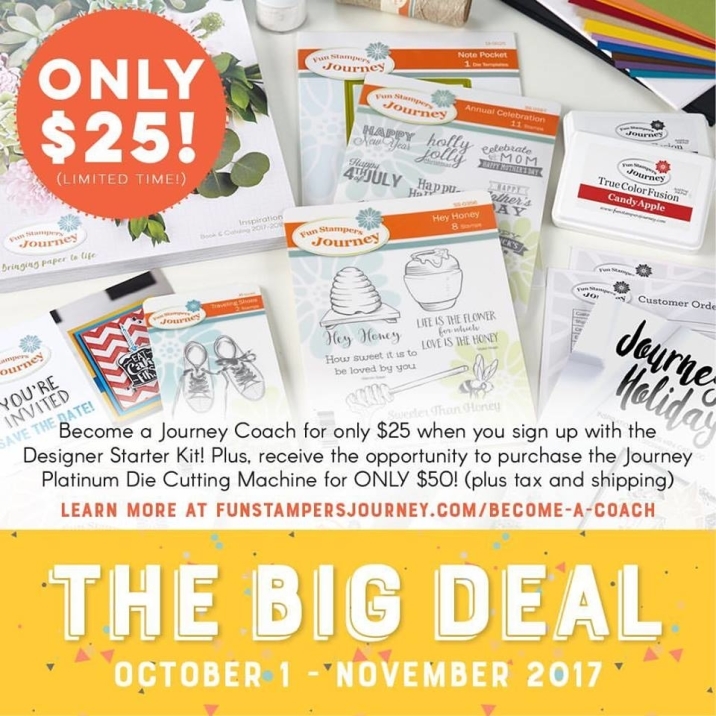 Join as a Coach in October or November with the Designer Starter Kit for only $25.00 + shipping & Tax, if you submit a Party Order for $150.00 within the first 21 days of joining (not of receiving your kit), you have the option to purchase the Journey Platinum ($249.99 retail value) for $50 plus shipping & tax! Join before Black Friday and receive YOUR Coach Discount on top of the Current SALE! Stay Tuned to my Facebook Page or Blog for a Unboxing Video of each Planner Kit available. 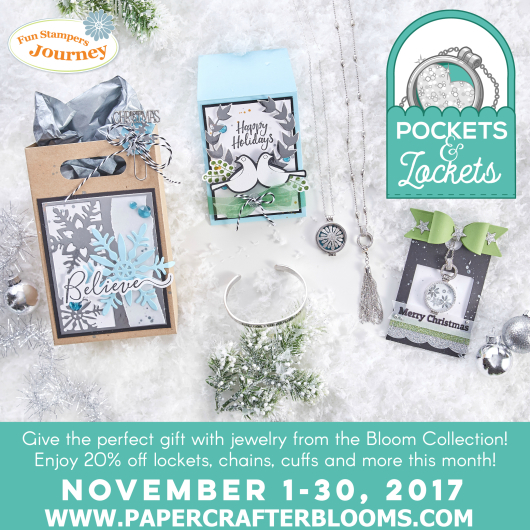 We are so excited to kick off our Pockets & Lockets promotion! 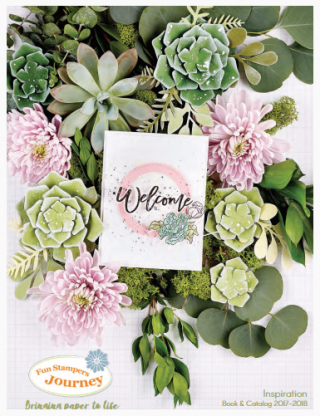 Take a venture through to the back of our 2017-2018 Inspiration Book & Catalog until you see all the sparkly goodies of our Bloom Collection. You’ll see round lockets and tower lockets. We have multiple chain styles and sizes. 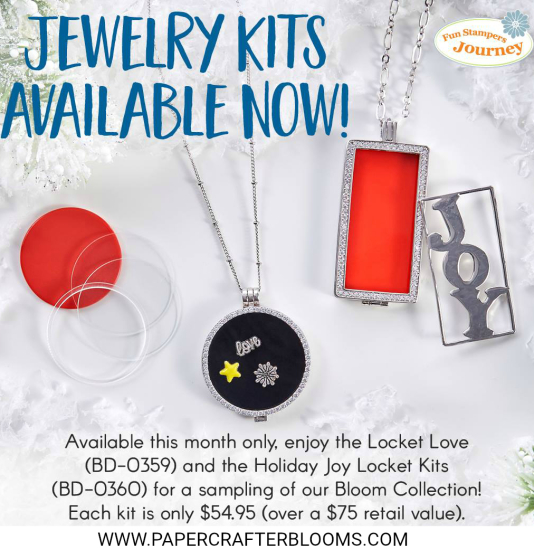 We have colored accent plates, sparkly plates and charms to give your locket that extra flair. You can even putting stamped pieces inside these lockets. We also have buckles, cuffs and more options.All of these lockets, chains, cuffs, and plates are 20% off this month. You can even make your box matching. 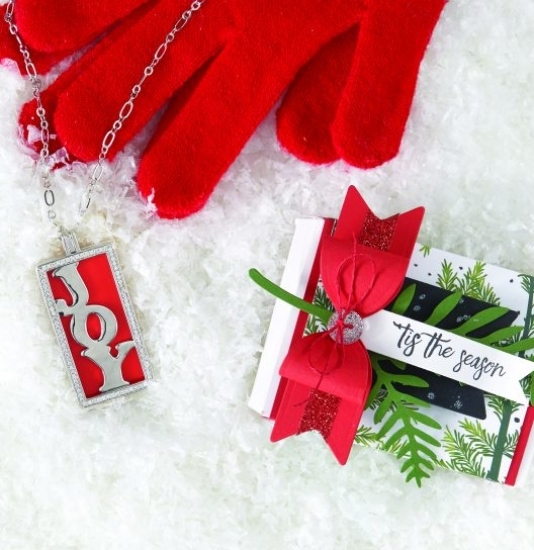 Grab the Treat Box Die – on sale with the Pockets & Lockets promotion to create this ‘Tis the Season box. Decorate the box with your favorite prints paper, like the Christmas Cheer Prints from the Journey Holiday Trends Mini Catalog. Add a bit of greenery and a sentiment. 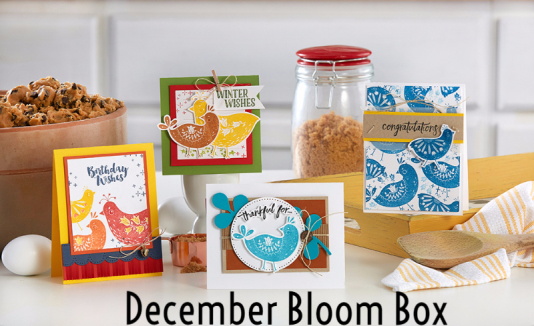 Then finish your box with a Create A Bow – Mini Die – also on sale. Give your box sparkle just like the sparkle necklace with a bit of Candy Apple Journey Tape and Sparkle Drop. Thank you for being a subscriber to my Newsletter. 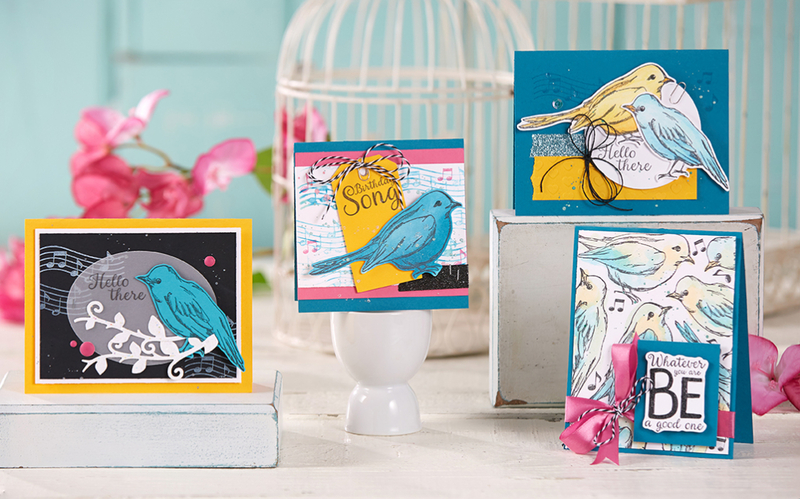 If you have any questions on the current sales or joining Fun Stampers Journey I would be more than happy to answer any questions. Did you see the Sneak Peek of the next sale? 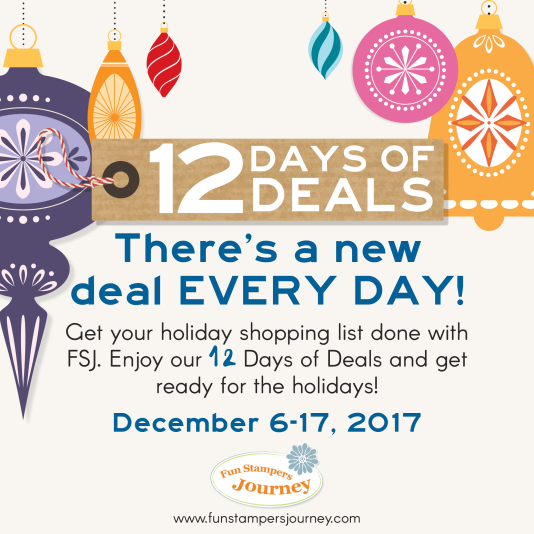 12 Days of Deals in December beginning December 6th! You can find me on Facebook HERE or my contact information below.